Like other furry pets, ferrets can catch fleas. 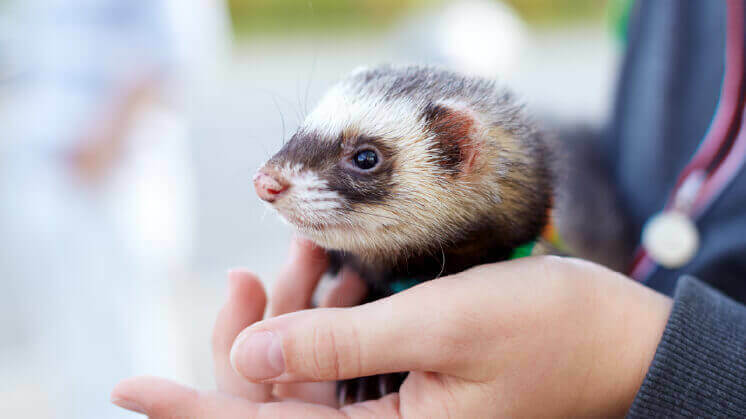 Ferrets tend to be exposed to fleas by other household pets (such as cats or dogs), outdoor animals if the ferret spends time outside, or fleas from a previous tenant in the home. If your ferret is scratching, biting, and/or chewing on herself a lot, she may have fleas. 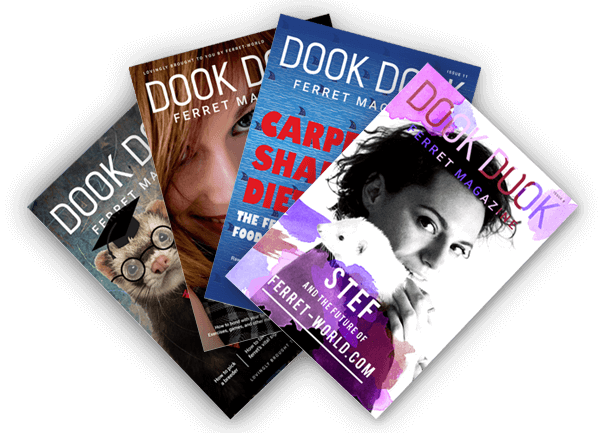 You’ll want to examine your ferret. Blow on her shoulders and the back of her neck to expose the skin; if you see what look like tiny moving black dots, those dots are probably fleas. 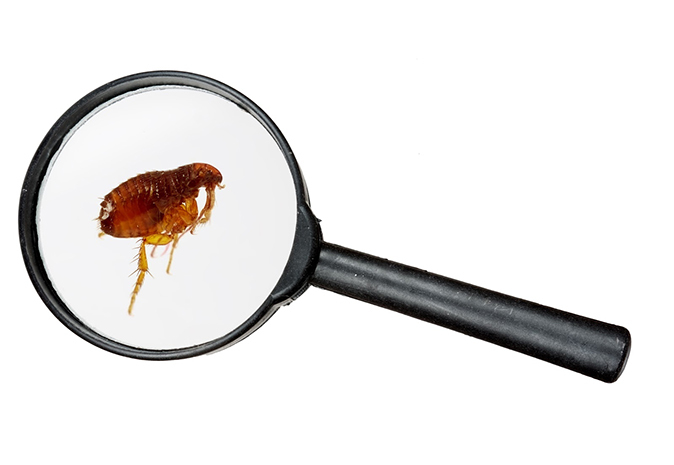 Look for “flea dirt,” which is a mixture of blood and flea feces. It looks like very dark speckles, and if you collect some flea dirt (from your ferret’s bedding, for example) and dampen it with a bit of water, it will be dark red in color. 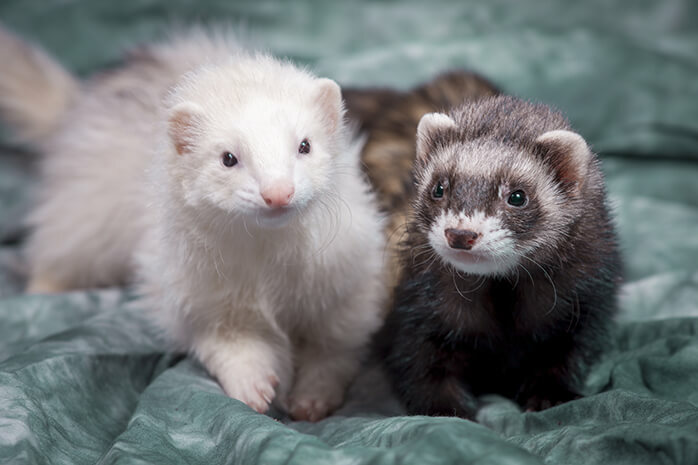 Ferrets with fleas need to be treated. Fleas make ferrets itchy and uncomfortable. 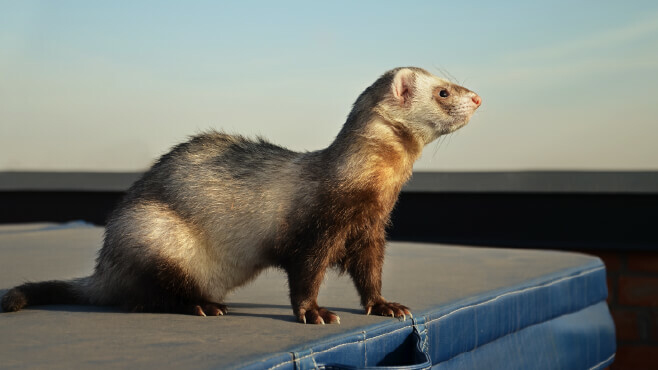 More seriously, a ferret with a heavy flea infestation can become anemic because the fleas are taking too much blood. The good news is that treating your ferret for fleas is pretty easy. We recommend Advantage Multi, a topical treatment that has been tested and determined to be safe for ferrets. 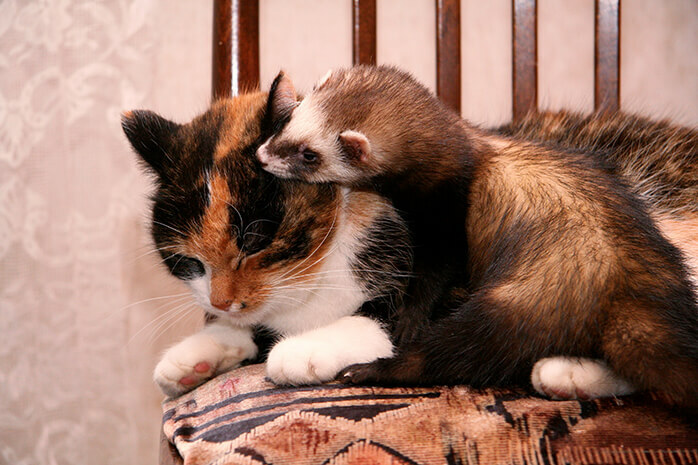 Advantage Multi for Cats is FDA approved for the prevention of fleas and heartworm in ferrets. However, it is always best to check with your vet for what they recommend and the dosage required. If any animal in a household has fleas, it’s best practice to treat all the animals for fleas. In addition, you may need to treat your home for fleas by washing or dry cleaning bedding and vacuuming all carpets and rugs. You can use a powder product, such as Fleabusters, to kill flea larvae. Sprinkle the powder along walls, on the carpet, and inside couch cushions, then vacuum up the excess. The powder adheres to carpet and fabric fibers and dehydrates flea larvae when they come in contact with it. Another product that can be used is a flea bomb, but with a flea bomb, you need to take your animals and yourself out of the house while it goes off and for another couple of hours after it finishes. Then you can return and air your home out. 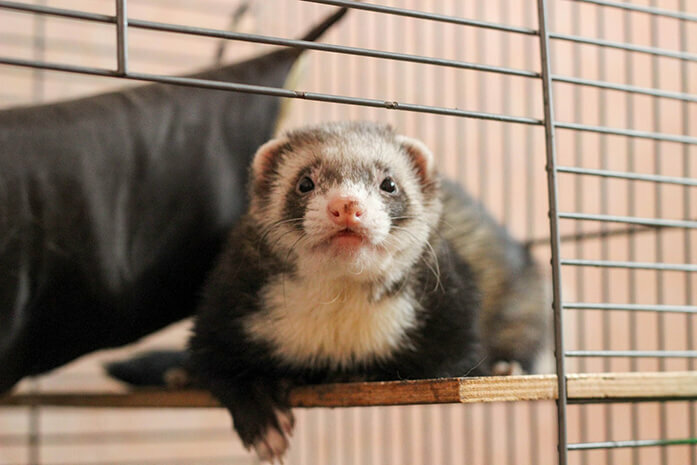 Because fleas lay eggs, it’s important to be vigilant about repeating flea treatments for the home to rid yourself and your ferret of fleas. 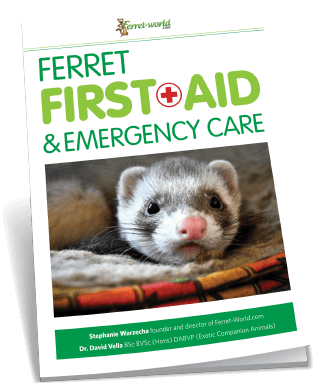 If you use a product like Advantage Multi for your ferret, you will want to follow the manufacturer’s instructions on treatment frequency. It’s not impossible to get rid of fleas, but it does take time and persistence to kill all the fleas and their eggs and larvae. You and your furry friend will be much more comfortable in a home that is free of fleas.